Iglesia Adventista del Septimo Día is the central church of Chihuahua. It is an Adventist church. The church has a huge building and located in a beautiful surrounding. Many Mexicans are members of this church. As given on its website, the mission of the church is to glorify God under the anointing of Holy Spirit. 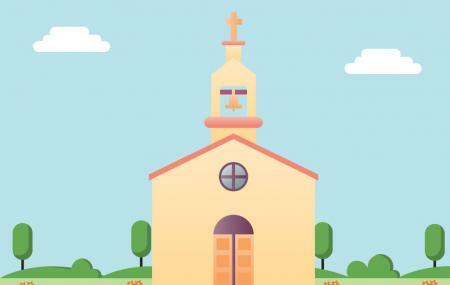 The church organizes some useful sermons on Christianity. If you have a religious interest, you can attend one of the sermons. Personalize your visit to the city by chalking out a plan using Chihuahua trip planner. Fine Accommodation options like Fiesta Inn Chihuahua, Hampton Inn By Hilton Chihuahua City and Microtel Inn & Suites By Wyndham Chihuahua will meet your requirement of where to stay in Chihuahua. Find out how to reach Chihuahua to begin with. Plenty of wholesome Chihuahua vacation packages are available to choose from, pick your today! Love this? Explore the entire list of places to visit in Chihuahua before you plan your trip. Fancy a good night's sleep after a tiring day? Check out where to stay in Chihuahua and book an accommodation of your choice. People normally club together Iglesia San Francisco and Ciudad Deportiva while planning their visit to Iglesia Adventista Del Septimo Dia.